Information: acflordebolillotorres@hotmail.com, fax reservation request to 953 363 150 before June 8, 2016. Registration fee, 2 EUR, meal price 18 EUR per person. 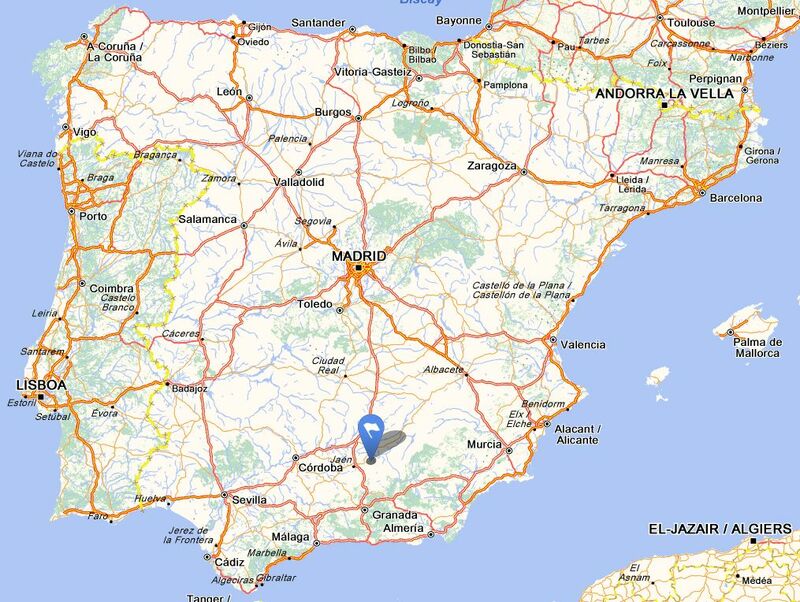 10:45 Breakfast in la Caseta Municipal and gift delivery to each participant. 14:30 Fellowship meal, then closing and farewell. There will be an exhibition of work carried out by the association in room1 and 2 of the Centro de Formación y Empleo. 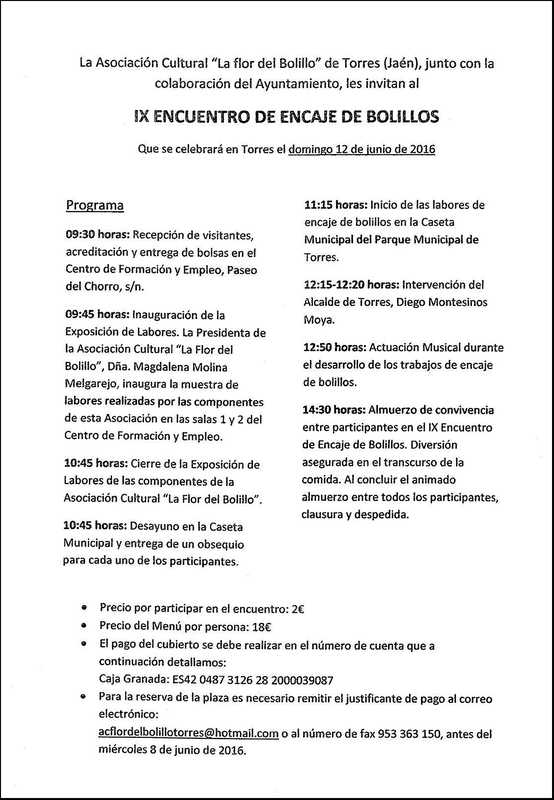 This is part of the III Feria Cereceie 2016 in Torres, which runs from June 11-12, 2016.